Hey lovelies, don't worry! Wedding details are coming - but Jesse and I wanted to continue virtually showing you around Sydney as we cover our Sydney Must-Do's. 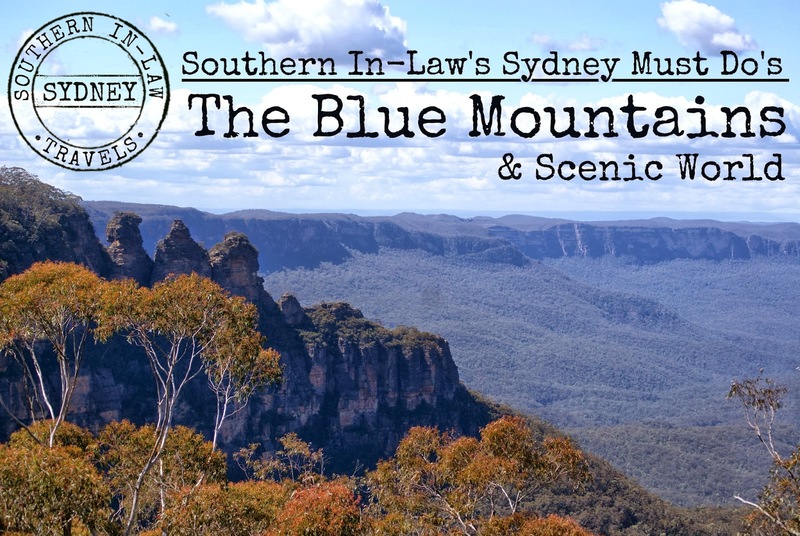 Last week, we headed to the Blue Mountains for the Day to show Wesley just how diverse our city can be. 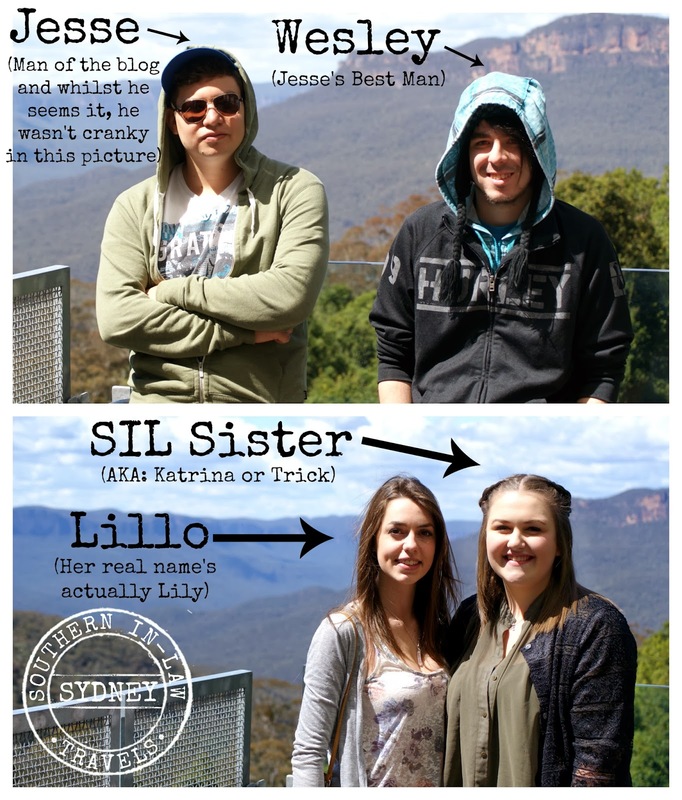 Joining us on our Scenic World Blue Mountains Adventure was Wesley (Jesse's best man), Katrina and Lillo - or Lily if you want to call her by her "real" name. First up, we went on the Scenic Railway. 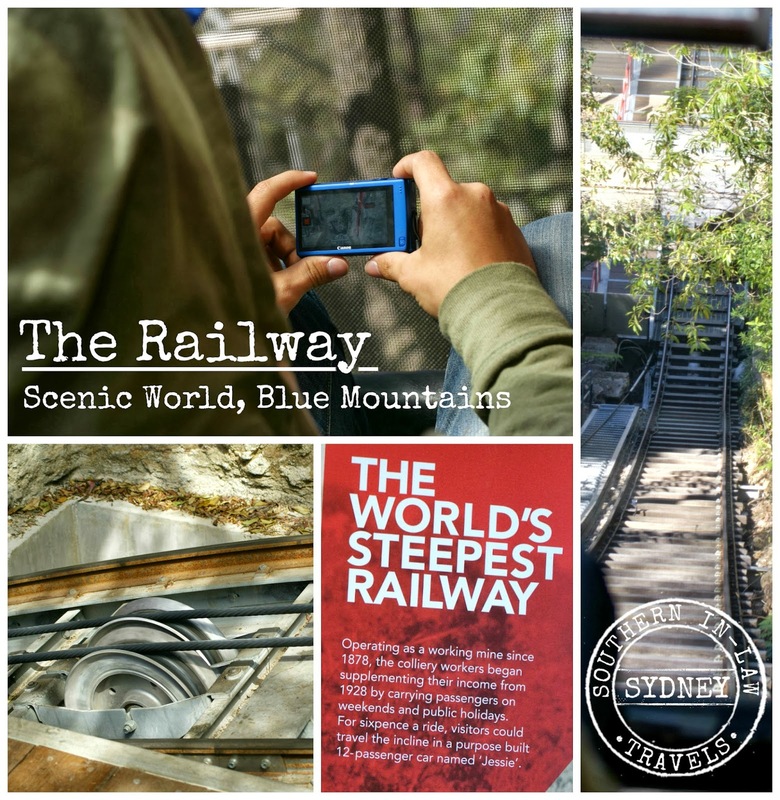 This is the world's steepest railway and has been giving passengers a thrill since 1928 when the colliery mine workers began supplementing their income by charging passengers a sixpence a ride on public holidays and weekends to travel the incline on the purpose built passenger cart they called "Jessie". The Railway has changed since we last went there on Jesse's first trip - and now you have the option to change your ride. By pushing the button on the side of each seat, you can decide whether you want the "Laidback" ride, the "Original" ride or the "Cliffhanger" ride - and of course we chose the Cliffhanger. The cart itself has also changed and now has a glassed roof which gives you an even better view! 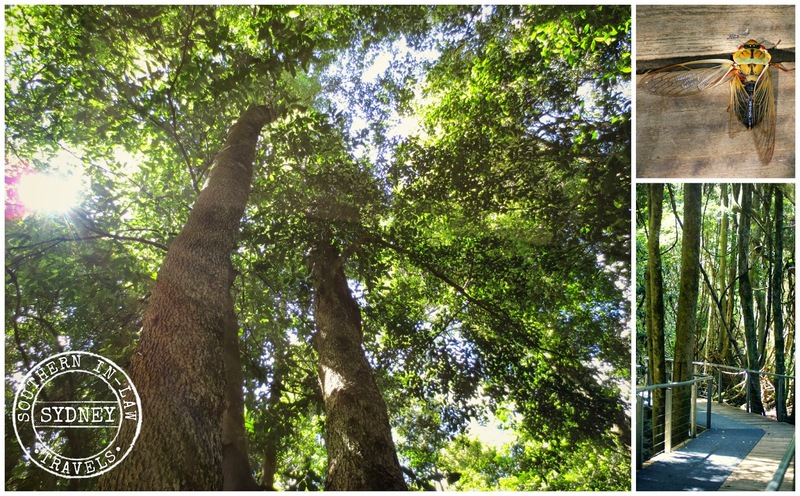 Once we finished with the Rail Way, we then spent an hour walking through the beautiful Jurassic Rainforest. It's so peaceful down there and the pathways make for an easy walk. There's a number of different tracks you can take - we took the longest route. 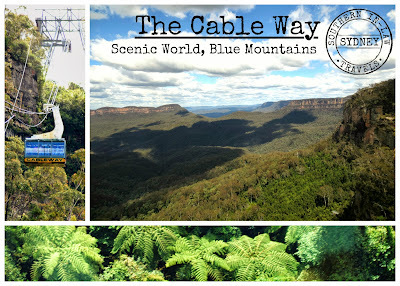 After walking through the rainforest, we took the Cable Way back up to the top of Scenic World. 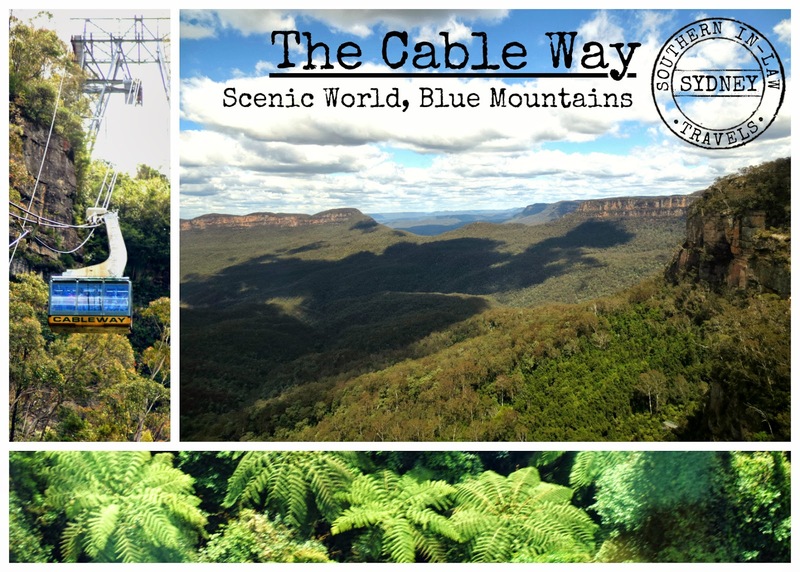 The Cable Way gives you yet another great view as you can see both the tops of the trees below you and the gorgeous mountain view - uninterrupted, as far as the eye can see. 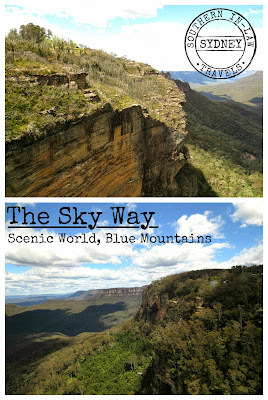 Once we reached the top, we headed out on the Sky Way - basically a cable car with a glass floor strip down the middle so you can see straight down below you. How much does it cost? 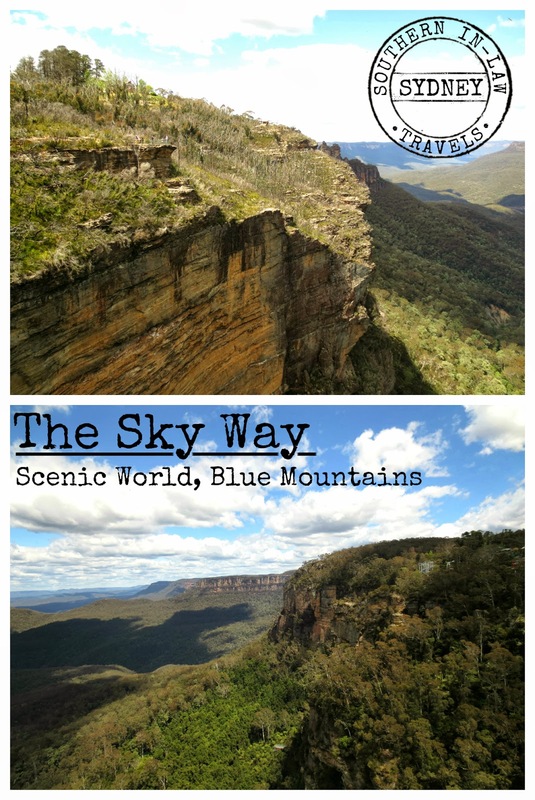 An Ultimate Discovery Pass gets you unlimited rides on the Cableway, Railway and Skyway and costs $35 for an Adult, $18 for a Child (4-13), $88 for a Family and $32 for a concession. What do we think is a must do? Everything! But make sure you go on the Railway on the way down - and the cliff hanger version of the ride is even better. 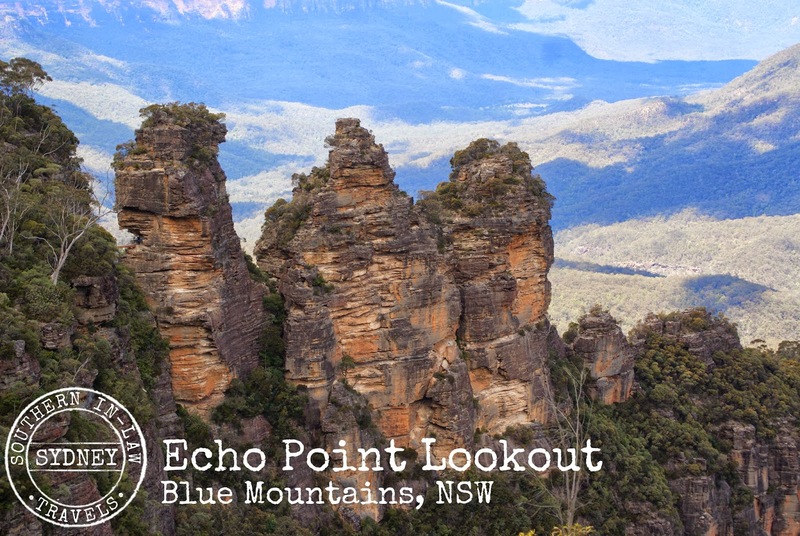 When you're in Katoomba, be sure to stop at Echo Point Lookout for the best view of the Three Sisters - Meehni, Wimlah and Gunneedo. 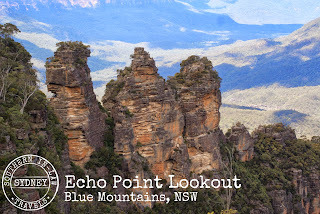 The Three Sisters is a rock formation which, according to Aboriginal legend and dreamtime stories, represents three sisters who were turned to stone by a witch doctor as they had betrayed tribal law and fallen in love with men from a different tribe. Parking is metred and parking officers are always around so make sure you get a ticket! 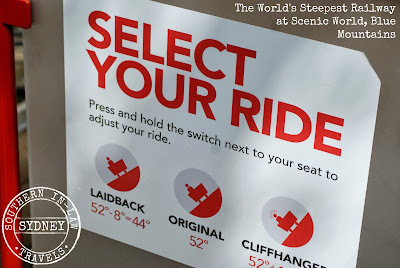 But tell me, which would you go for; the steep cliffhanger ride or the calm laid back ride? 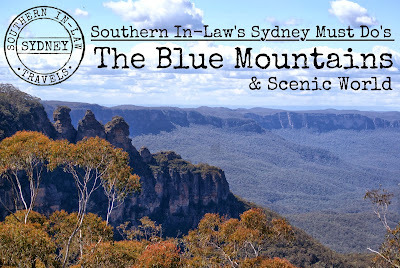 Kristy and Jesse received complimentary media tickets at Scenic World, however, all other tickets were purchased by them and this review is entirely their own opinion. Great post! :-) The cable car looks awesome!